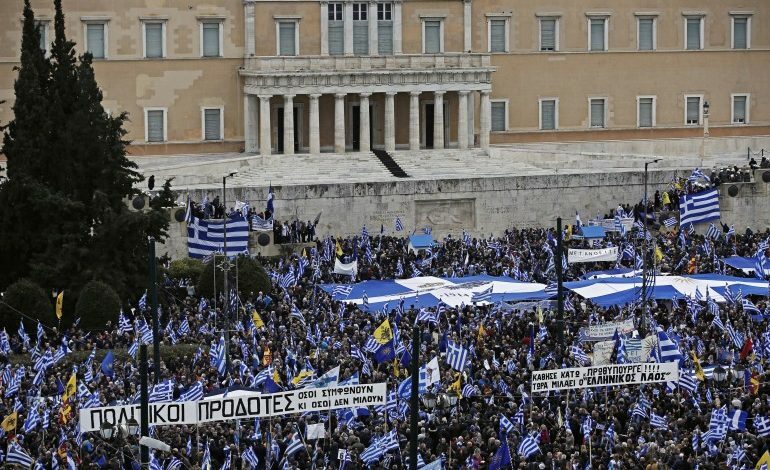 Thousands of citizens from all over Greece turned Syntagma Square of Central Athens into a sea of blue and white with their Greek flags, rallying against the Prespes Accord to name the ex-Yugoslav state “North Macedonia.” Police estimated that roughly 60,000 people participated in the rally, while the organizers haven’t issued an estimate yet. Clashes erupted in front of the Parliament, when police fired tear gas to disperse protesters that tried to break their lines and approach the building. Greek Police in statement said that the persons that provoked the incidents during the demonstration against the Prespes Agreement at Syntagma square on Sunday come from the extreme right. It was impossible for members of the anti-establishment groups that gathered at Propylea for their own rally to penetrate. 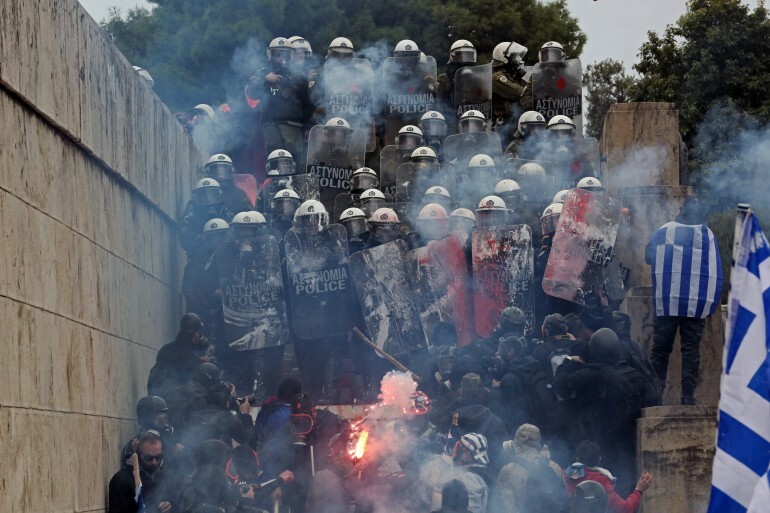 After the end of their rally the members of the anti-establishment groups went to the district of Exarhia, police sources said to Athens-Macedonian News Agency on Sunday. In parallel, 10 police officers were injured during clashes with a group of hooded-individuals. A statement from Prime Minister Alexis Tsipras’ office blames “extremist elements and members of (extreme-right party) Golden Dawn” for the clashes during the rally against the Prespes deal. “In our democracy, citizens’ free expression is an inalienable right, even for those who want to abolish democracy…It is also the duty and obligation of those of us who do believe not to allow them. Let’s isolate and condemn them,” the statement said. Conservative opposition New Democracy squarely put the blame on the government for the clashes that led to the dispersal of Sunday’s protest against the Prespes deal and asked for the resignation of the ministers in charge of the security forces. “Mr. Tsipras’ patchwork government showed today its darkest, most authoritarian side. Panicking by the wrath of Greek people and with no serious cause, they sprayed large quantities of chemicals to disperse the hundreds of thousands of citizens that gathered from all over Greece to demonstrate peacefully against the harmful Prespes Agreement. Madames Gerovassili and Papakosta should be ashamed of themselves and should resign today,” New Democracy’s statement says. “We cannot stomach this deal, to give away our Macedonia, our history,” said pensioner Amalia Savrami, 67, as she waved a large Greek flag on Athens’s Syntagma Square. 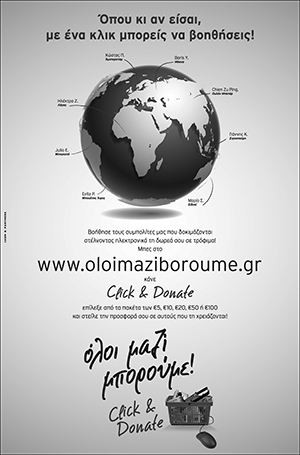 “Macedonia is Greek, period”, she said to Reuters News Agency. United Nations diplomat Matthew Nimetz, who has mediated talks between the two countries, said he looked forward to Greece’s ratification of the accord after FYROM delivered on related constitutional amendments.